Wishing you and your loved ones a very happy Thanksgiving! If you're overwhelmed with all the Black Friday sales, you're not alone. I am too =) However, I did spend some time last night putting together a list of 10 best sales going on right now. Take a look below if you're interested. 4. Banana Republic: 50% off five items. I am loving their footwear lately. Remember my short trip to Chicago? I only brought these loafers with me. I walked non-stop for 6 hours and there was no pain, no blister, nothing. I am seriously impressed. 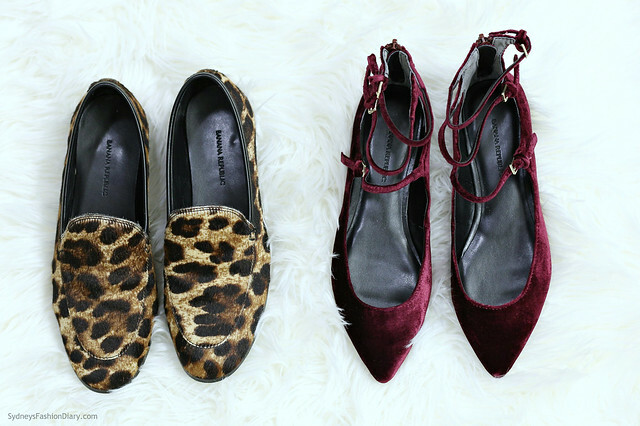 I picked up these velvet flats a few days ago and am in love. They run true to size and are perfect for the holidays! How cute is this plaid sweater?